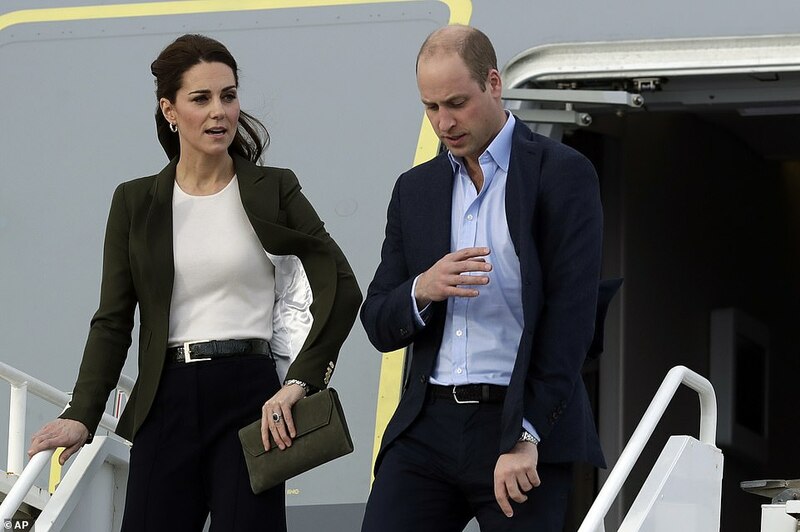 They’re said to be at loggerheads behind the scenes, but it looks as if her sister-in-law Meghan’s style influence is rubbing off on the Duchess of Cambridge. 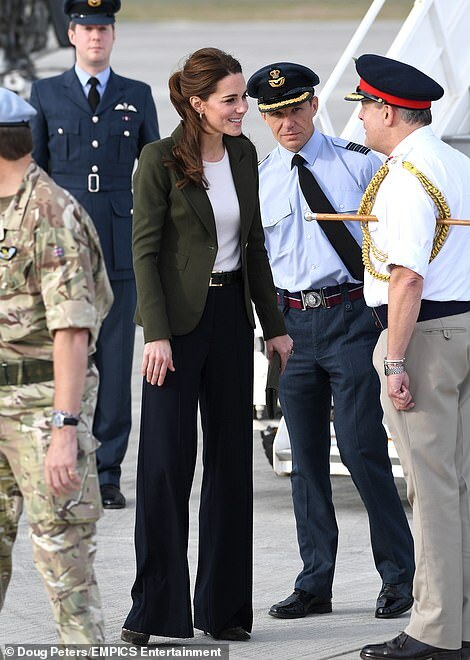 Kate, 36, arrived in Cyprus this afternoon to visit RAF personnel, wearing a very Meghan-like ensemble of black wide-legged trousers, teamed with a white silk top and recycled khaki blazer from Canadian brand Smythe. 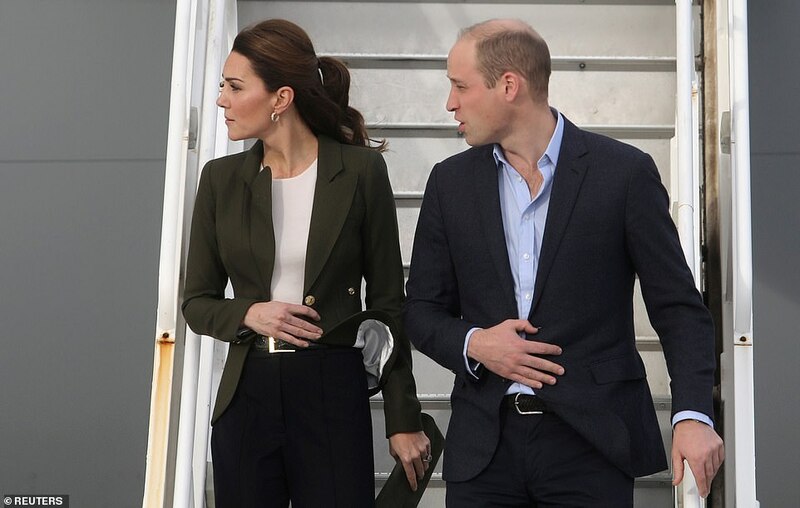 While the Duchess of Cambridge has previously worn dark skinny jeans and jeggings on royal engagements, this is believed to be the first time she’s ever donned black suit trousers during an official royal engagement. 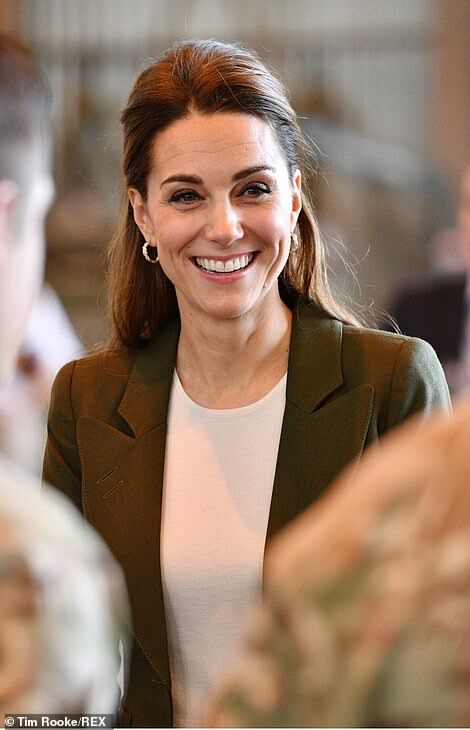 However, it wasn’t a complete departure from her usual fashion for Kate today as she once again showed her thrifty side by recycling an old blazer. 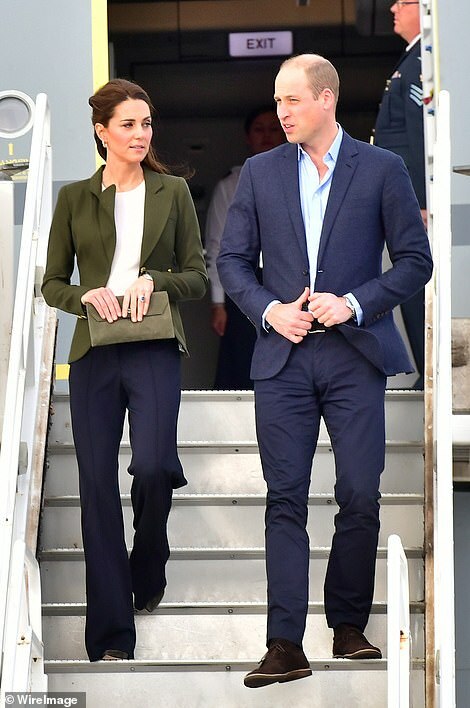 Canadian brand Smythe is also popular with Meghan, although Kate has been wearing the label since long before her sister-in-law came on the scene. 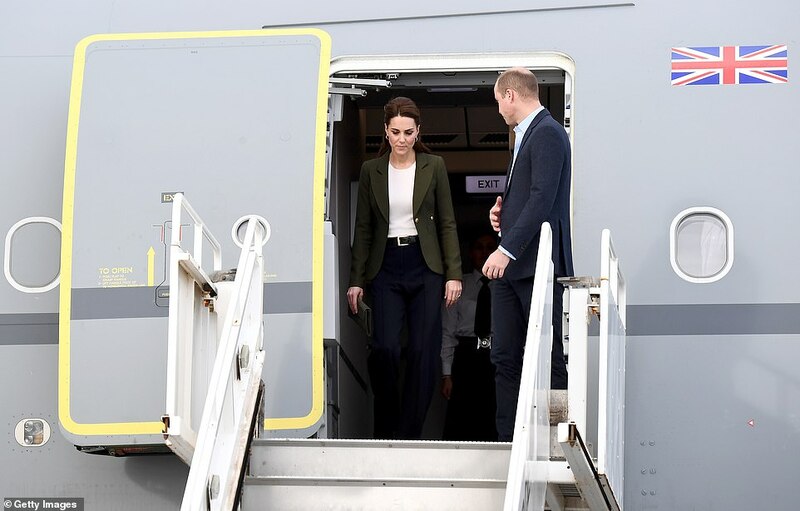 She looked perfectly co-ordinated, matching her khaki suede clutch bag and heels to her blazer as they touched down at RAF Akrotiri on the government’s Voyager aircraft, which is used by the Royal Family and ministers, after making the five-hour flight from the UK. 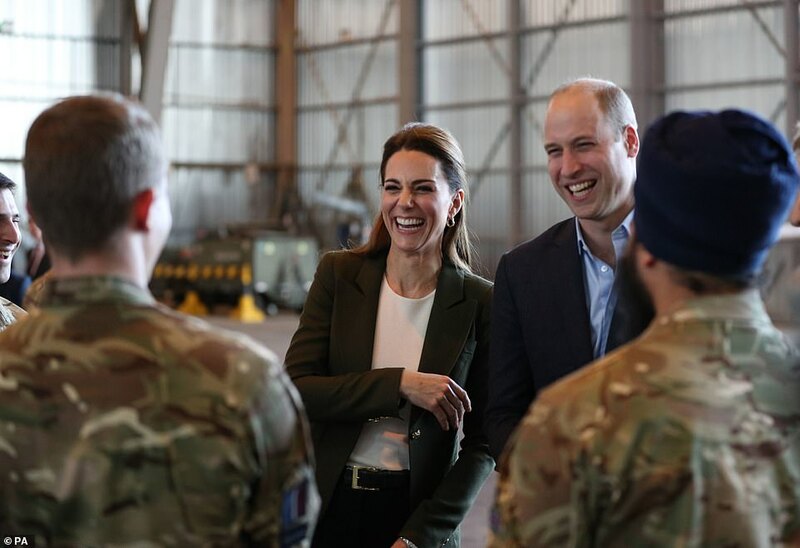 During today’s visit, William gave a speech thanking RAF personnel who will be away from their families this Christmas, saying their work is done ‘without fanfare’. 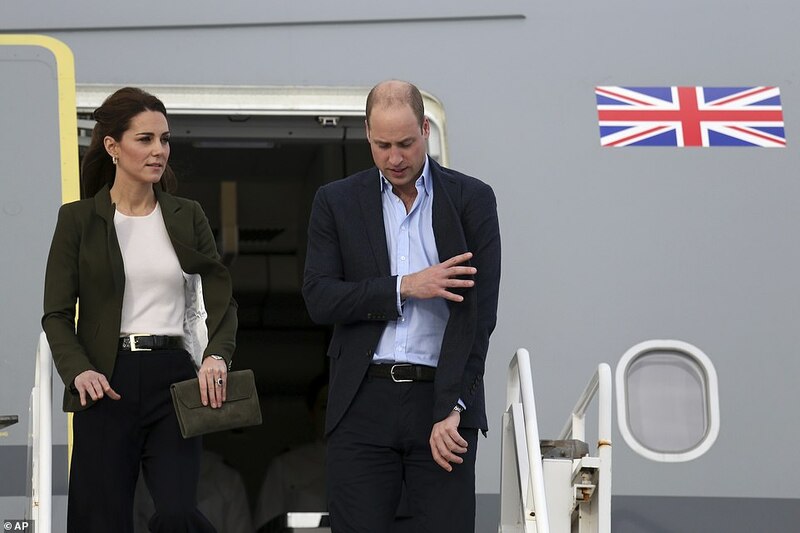 William said: ‘All of this work is done without fanfare. You don’t seek praise for your contribution. It’s not about credit or recognition – for you, it’s just about service. But as we approach Christmas, Catherine and I feel strongly that praise for your work and recognition of your sacrifices is exactly what is due to you all. ‘From my time in uniform, we both know a bit of what it feels like to balance your work commitments with your family life. You all put duty first. And so do your families, some of whom we had the chance to meet yesterday at a party at Kensington Palace. ‘We know this isn’t easy for you or for your wives, husbands, children, and friends back in the UK. On behalf of everyone back home, we would like to say thank you. 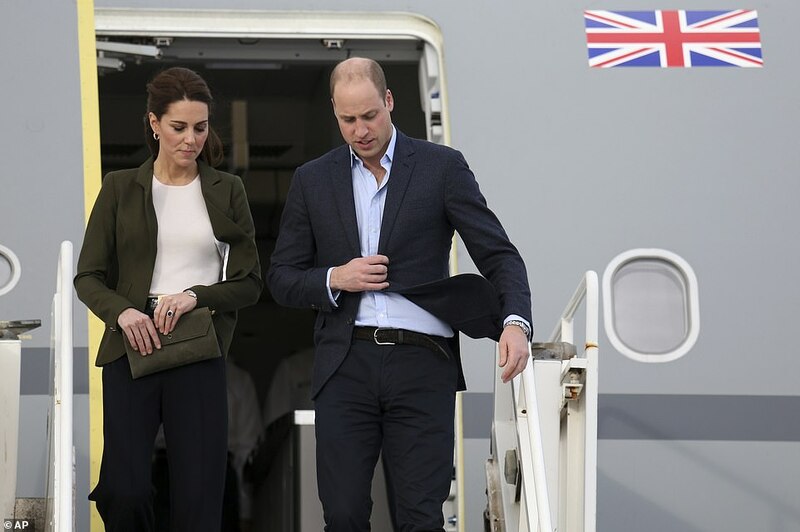 The couple’s special ‘Royal Mail’ flight was loaded with gifts and cards for staff from their families. 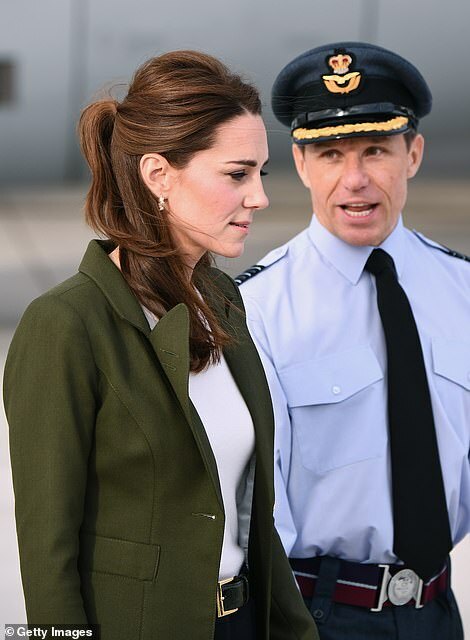 On arriving at the base the couple had a short private briefing before going to a hangar to meet with some of the servicemen and women on the base. 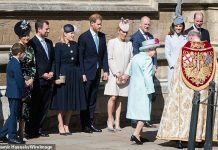 She said afterwards that the couple ‘really sympathised’ with how difficult it was. Corporal Karl Noakes, 33, also from RAF Marham, said he had been sent pictures of his daughter Alysia, two, at yesterday’s Christmas party at the palace. He said: ‘It’s a tough one. I’ve been away lots of times and it’s never easy but it’s very different now I am a dad. My little girl is now asking for me when we speak and even playing her mother off against me when he is playing up. 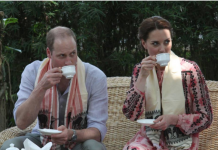 William and Kate chatted happily about the party. ‘There was a lot of chocolates and marshmallow consumed yesterday. 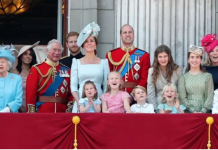 The kids were running wild!’ the prince said. 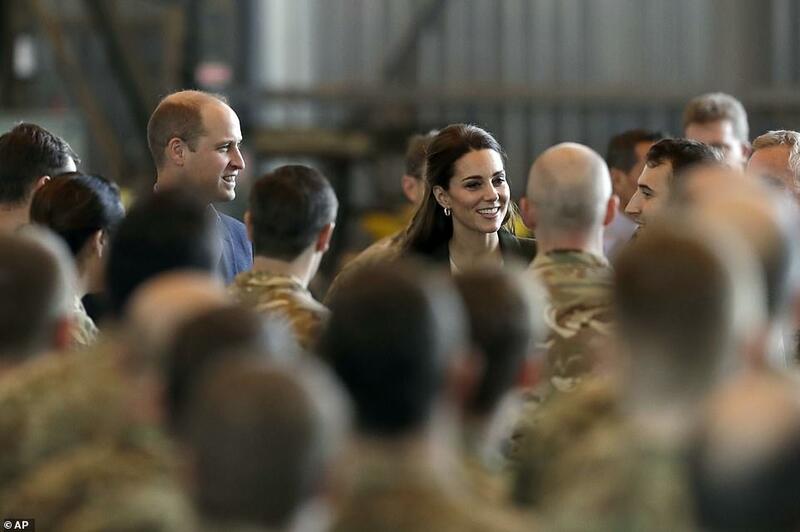 ‘It was lovely to see them having so much fun,’ Kate added. 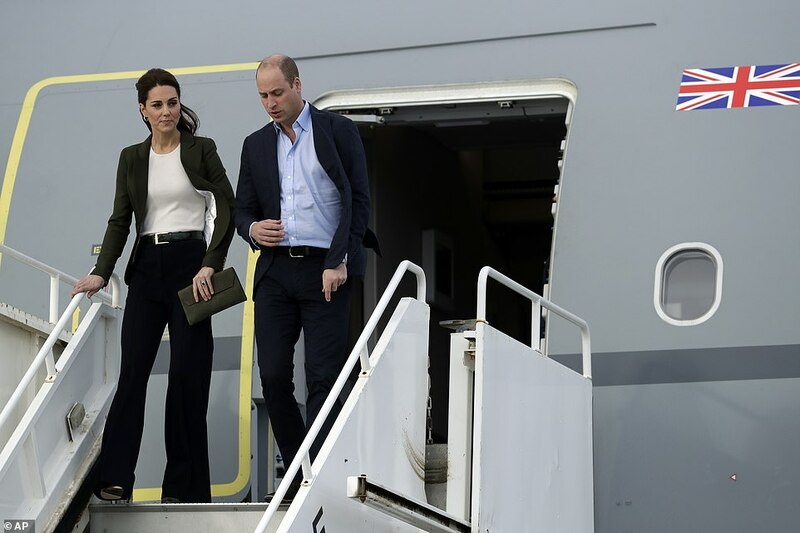 The dad of three told the royals how he was looking forward to seeing his children, aged six, three and just 26 weeks when he returns home in two weeks. Scott, a Communications specialist with No. 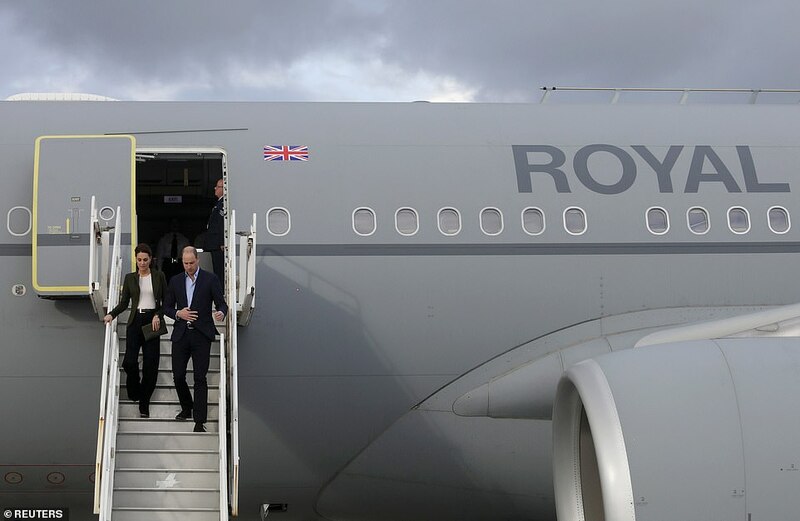 903 Expeditionary Air Wing, said: “Having William and Kate here is a massive boost for everyone here. “As a former serviceman himself he spoke to us about how he understands it’s hard being away from our families. 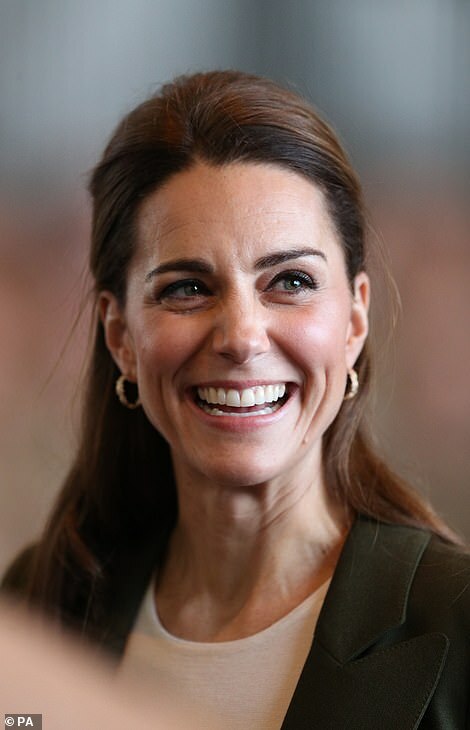 “Kate said how she thought time means so much especially in the early years so it great to have them recognise the sacrifices that we are all making here. “I’m lucky enough to be going home for Christmas but many people won’t be. 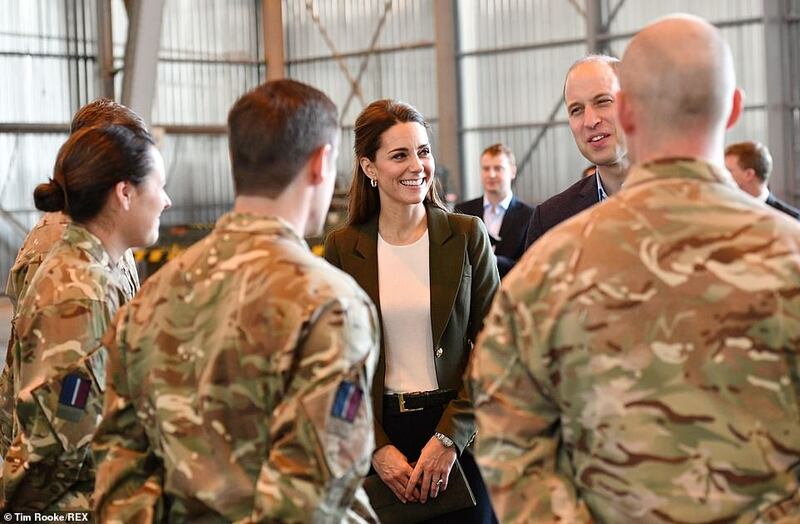 Another soldier from 2nd Battalion The Mercian Regiment called Jesse (wouldn’t give surname) said it was “important” the Duke and Duchess of Cambridge took the time to travel to the base. 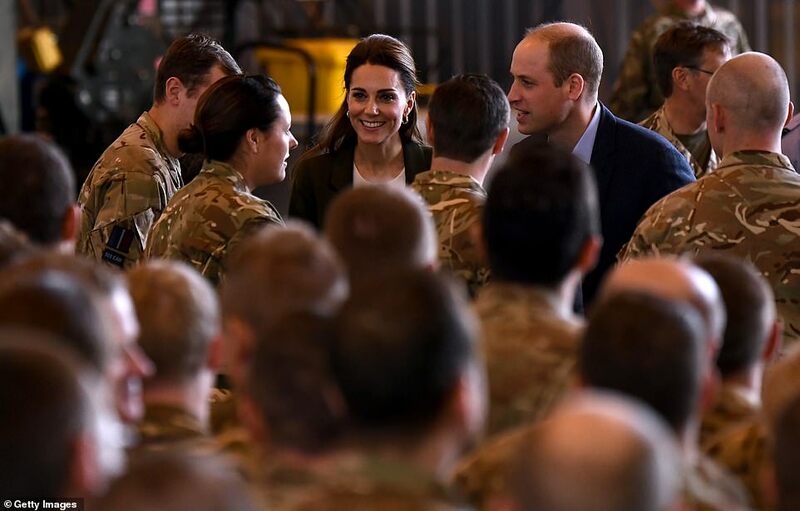 He said: “We’ve just come back from three months in Afghanistan where we were stationed in Kabul and now we are waiting to go home again in two weeks. 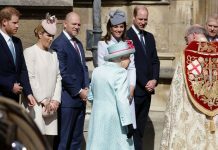 “To meet the future King of England is a huge deal for a lot of people here and it’s really appreciated. 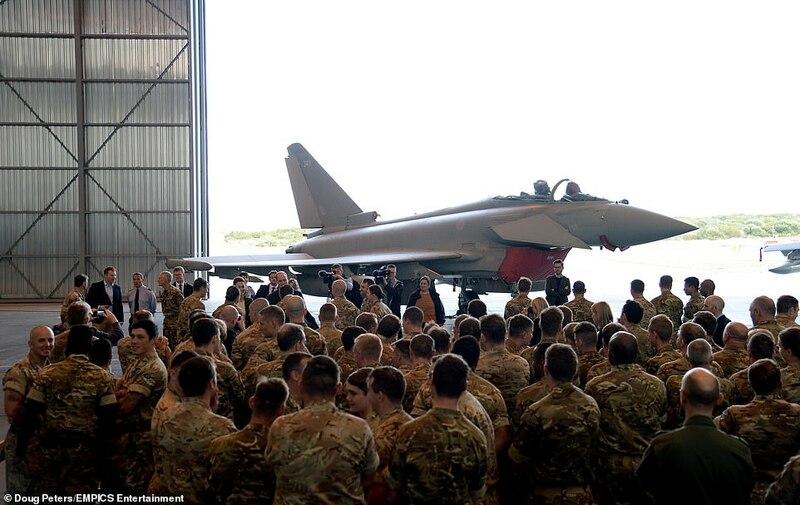 RAF Akrotiri is the home of the Cyprus Operations Support Unit which provides joint support to British Forces Cyprus and operations in the region to protect the UK’s strategic interests. 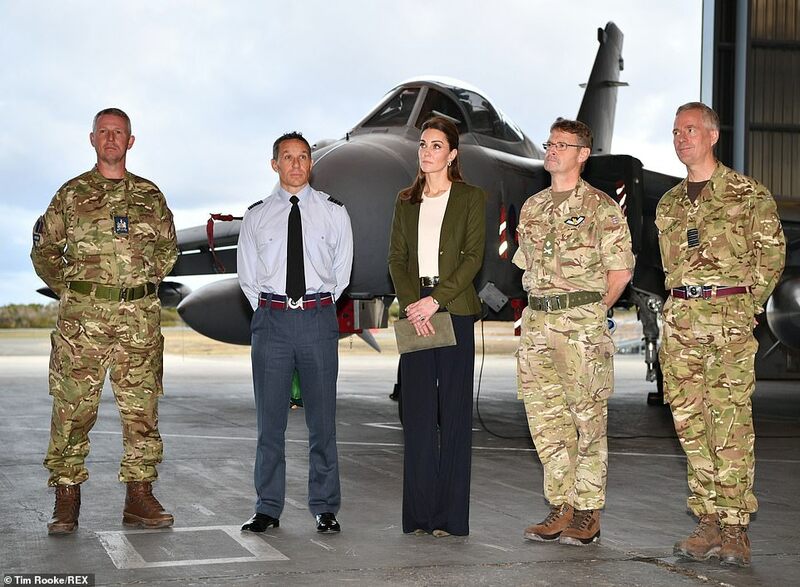 Although they are visiting an RAF base in William’s role as Honorary Air Commandant of RAF Coningsby in Lincolnshire, the couple’s two days of engagements have been designed as a way of recognising all the 7,500 military personnel currently serving overseas or away from home. 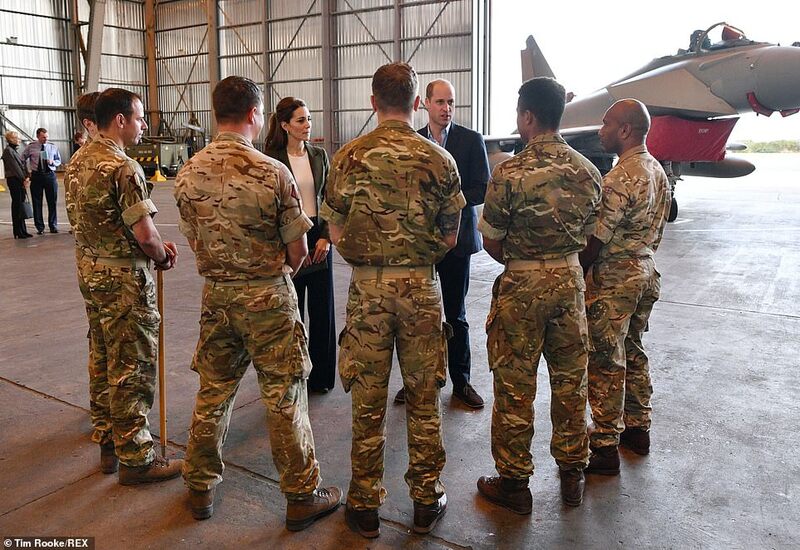 An aide said the prince had been very keen to do something for the RAF community for some time. Yesterday he and Kate enjoyed a fake snowball fight at the party in the palace’s temporary Orangery cafe, played games and helped the the children make Christmas cards and treats. The palace’s orangery café had been turned into a winter wonderland, with a fake snow machine, decorations including giant crackers and even a real life Father Christmas. 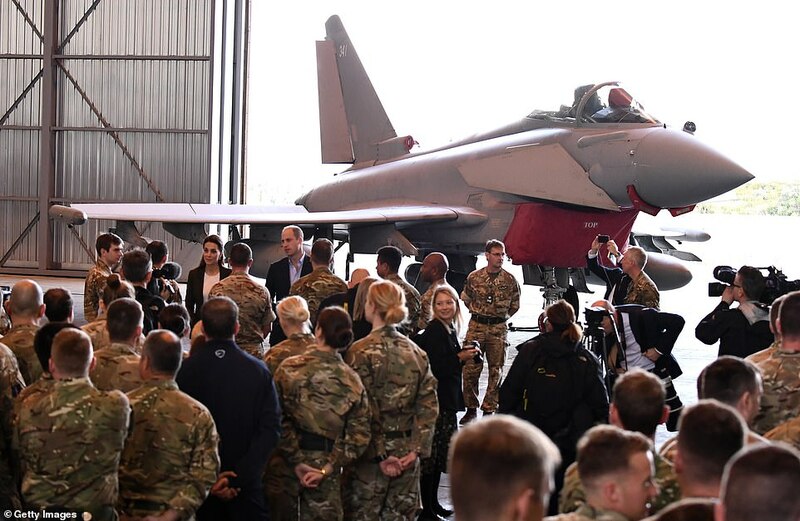 Among the families there were Barrie and Ann Macdonald from Manchester who are looking after their grandson Harry, five, in Coningsby while his mum, Claire – their daughter – and dad Paul, both wing commanders, are away in Afghanistan and Cyprus respectively. 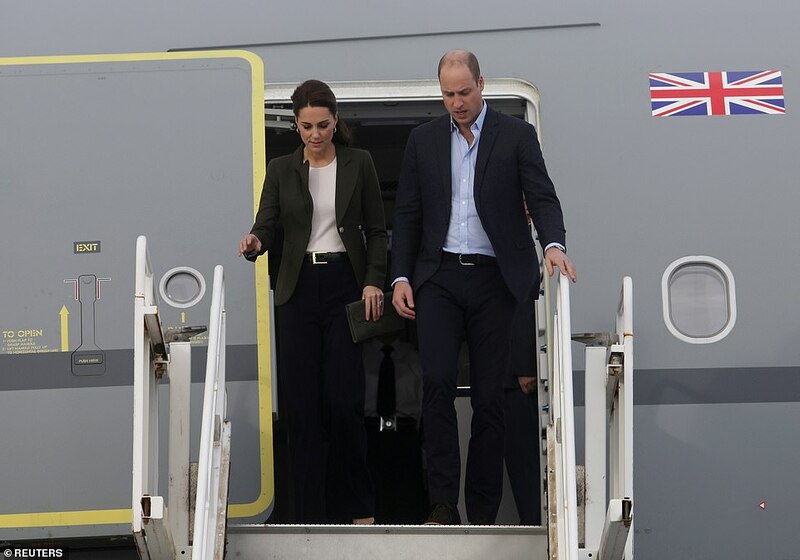 Kate paid tribute to the couple for moving in to look after Harry, whose father will not be home until January and mother until February. ‘So you are looking after Harry, are you? It’s amazing that families pull together like this,’ she said. ‘As someone whose husband has served, I know how hard it feels when a loved one leaves home to do the job they’ve trained for. 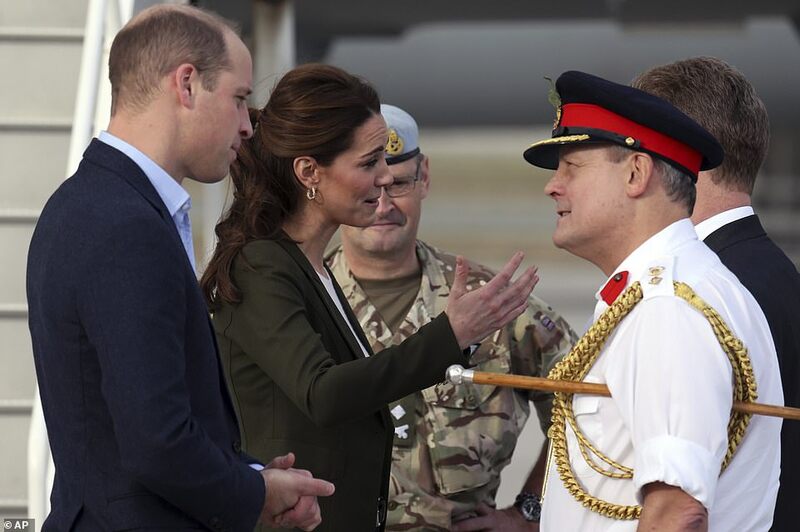 When William served in the Falklands or went search and rescue, I remember how it felt. ‘But I can’t imagine how it feels when your loved ones are away on active service over Christmas or at those special family moments. ‘The absence of people you love must be especially hard at this time of year. 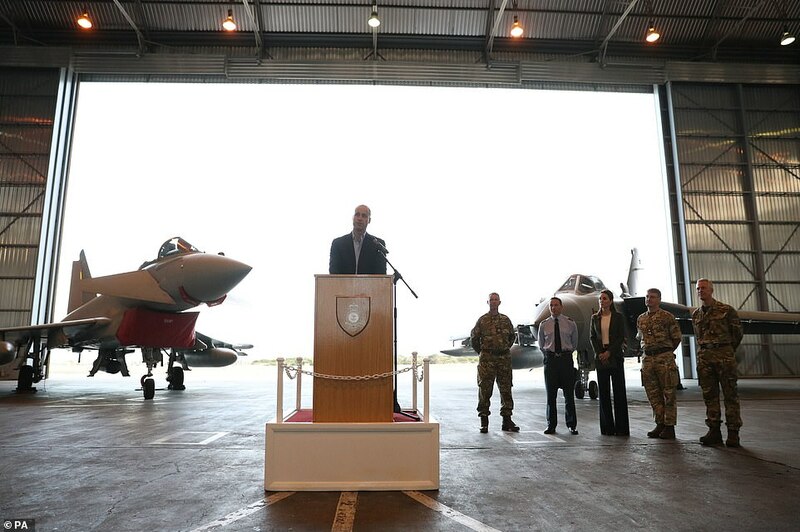 William is Honorary Air Commandant of RAF Coningsby in Lincolnshire, which is home to Typhoon squadrons which deploy to Cyprus and fly operations in support of Op Shader, the UK’s contribution to the ongoing campaign against Islamic State. 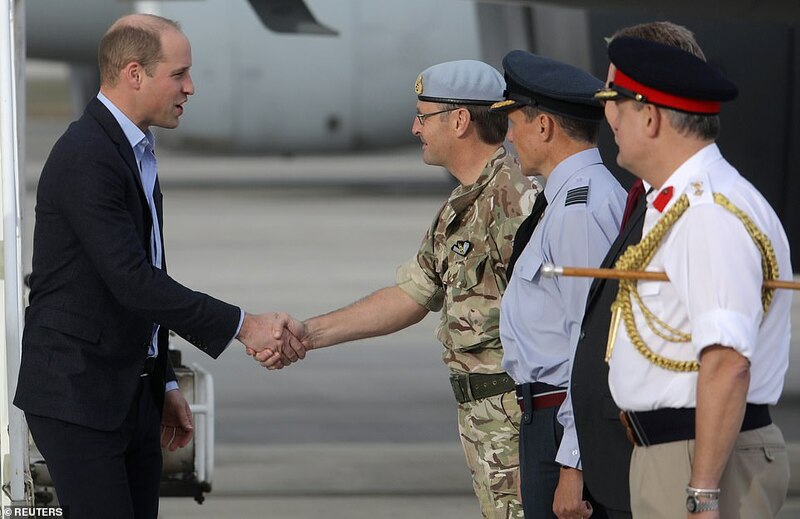 Next articleThese were Prince George’s proud words to Prince William before he flew to Cyprus How adorable!